Everyone has heard that old saying – ‘eat breakfast like a king, lunch like a prince, dinner like a pauper’. Kimberly Snyder discourages this way of eating and considers it the best way to cause a ‘traffic jam’ in the body. Foods move through the system at various speeds and by eating our heavier meals first, we block everything else that follows from passing through the system. Instead, she suggests eating fruits or her ‘green juice’ first thing in the morning and following up with healthy meals during the course of the day. Dinner should be the heaviest meal of the day (but healthy and properly paired!) as our body will have time to digest it before we go to bed and while we sleep. 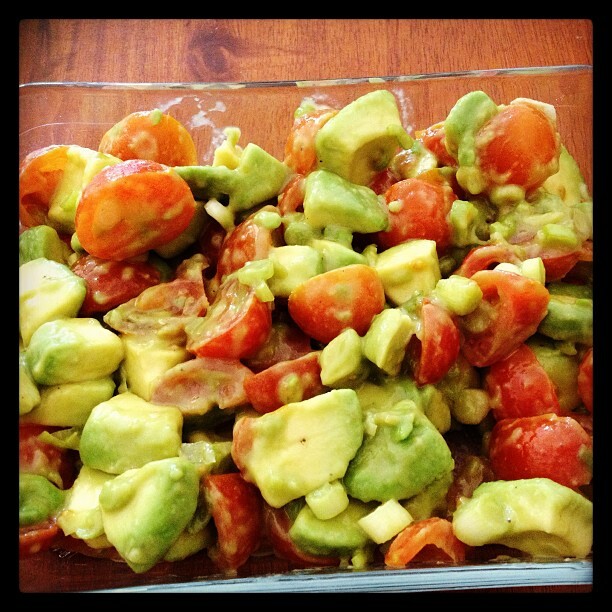 My favourite Avocado and Cherry Tomato Salad – Click for recipe. Enzymes, Minerals & The Glowing Greens! 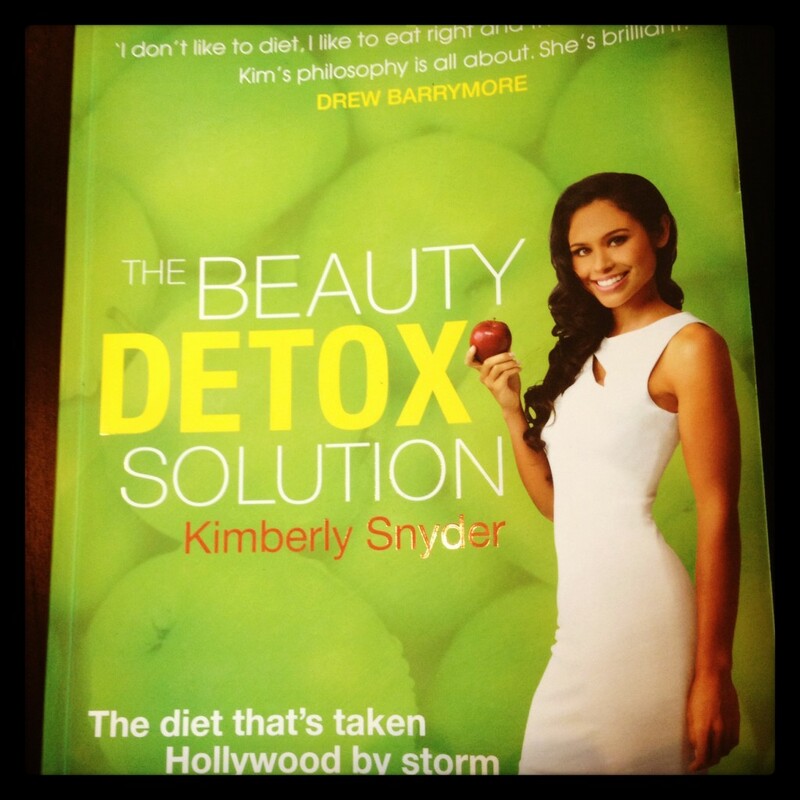 Kimberly Snyder devotes an entire chapter in ‘The Beauty Detox Solution’ to Beauty Minerals & Enzymes. There are many useful charts listing fruits, vegetables and herbs with the highest mineral content. She refers to enzymes found in raw plants as ‘living fuel’ and a major secret to good health and beauty. Cooking the plants kills off the live enzymes so they are best eaten raw. The best way to get the daily living enzyme dose is through her recommended daily ‘green drinks’. The recipes are in the book but I am yet to try them! The book provides loads of useful information about the best sources of beauty protein, carbohydrates, fat etc. Kimberly Snyder obviously recommends a vegetarian diet but she also writes about how to eat animal protein the right way. For instance, seafood is preferable but if you must eat animal protein, then pair it with the right vegetables and eat at dinnertime. Kimberly isn’t a fan of dairy and offers healthier alternatives. Fruits are the ‘ultimate’ beauty food as long as you eat them right. 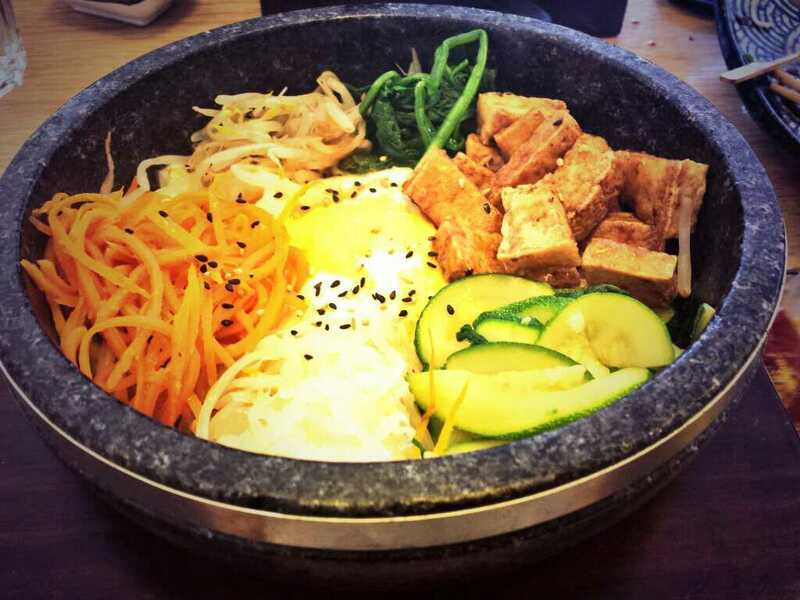 Making a healthier choice – Tofu Bibimbap at a local Korean restaurant. The rest of the book is all about transitioning into the three phases of the Beauty Detox. She encourages you to go slow and stay where you feel comfortable until you are ready to move on. For now, my personal focus is on eating more fruit and raw vegetables and less animal protein. I am paying more attention to food pairings and starting to eat light to heavy. I am yet to try the Glowing Green drinks and other recipes included in the book – some look super delicious and others are very different to anything I have ever eaten before. 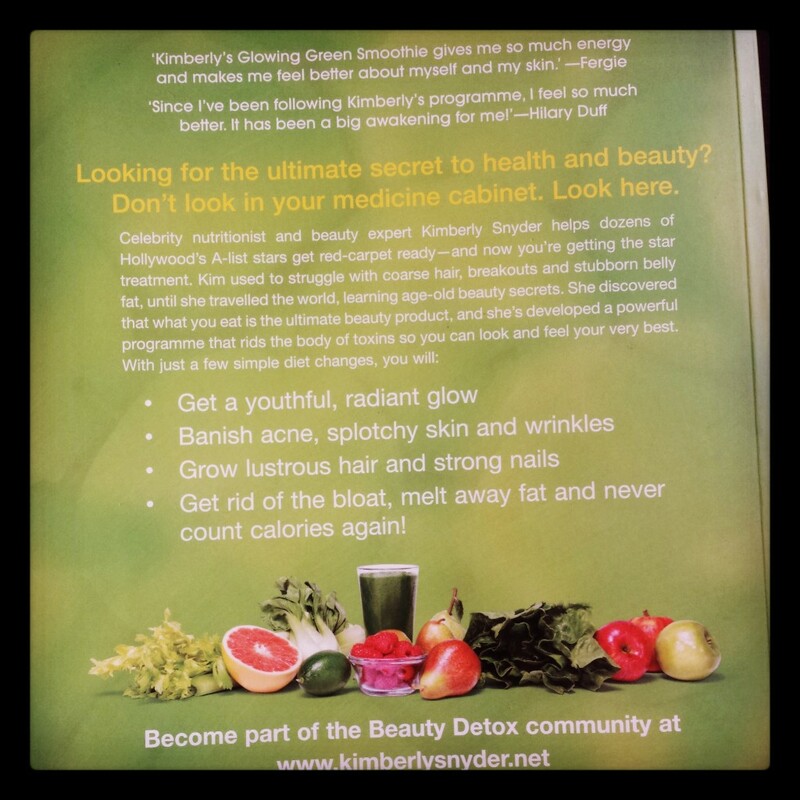 ‘The Beauty Detox Solution’ is a brilliant resource on beauty foods, health and nutrition. I highly recommend it anyone in need of motivation to make healthy changes. It has definitely inspired me! This is brilliant! I love the avocado and cherry tomato salad!